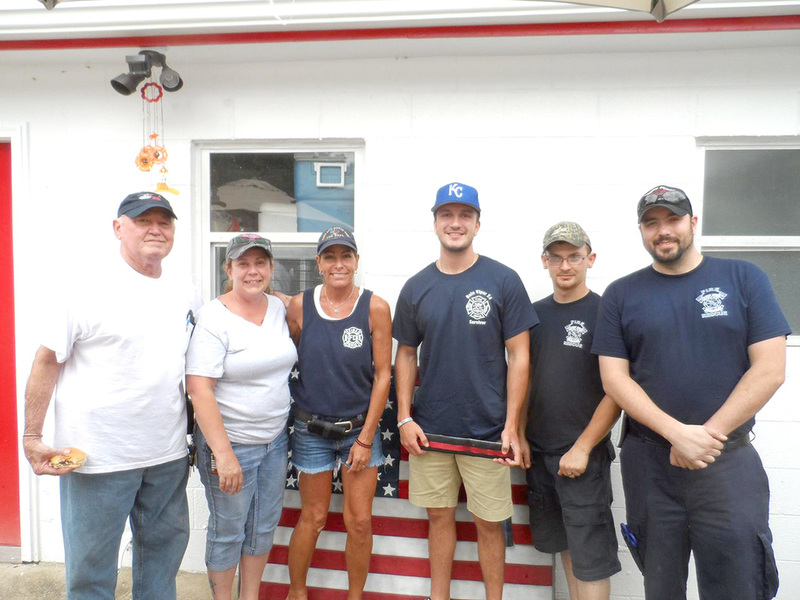 Pictured above are, from left to right: Randy Carroll, captain; Rachel Phillips; Pamela Stilwell, assistant fire chief; Dane King, accident survivor; Richard Faircloth; and Kenneth Douglas. On June 11, a Wichita, Kan., man was seriously injured on Table Rock Lake in a wakeboarding accident. The accident left him lifeless, and responders from the Eagle Rock-Golden-Mano Fire Department responded, resuscitating the young man before he was airlifted to Mercy Hospital in Springfield. They immediately began CPR on the scene. Since, the man returned to the area to visit and thank the first responders who saved his life. Dane King, 21, of Wichita, Kan., recovered from his injuries thanks to the efforts of first responders. Pam Stilwell, assistant chief, called his recovery a miracle. King was being towed behind a 1996 Montura Runabout near Point 25 on Table Rock Lake when he fell off. King was wearing a life jacket at the time of the crash.